Laboratory space is valuable. In comparison with the traditional freezers, the Telstar-Aegis Ultra Low freezer uses ultra thin vacuum insulation panels. With only 80 mm of insulation, it creates a much better insulation value than 125 mm of regular PU foam. 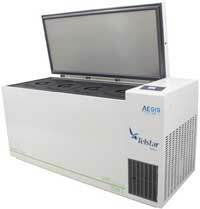 Aegis Scientific offers Ultra Low Temperature freezers by Telstar in -86°C temperature configuration. Compared to the traditional freezers, Telstar-Aegis now uses ultra thin Vacuum Insulation Panels (VIP) to create 30% more storage capacity on the same footprint. 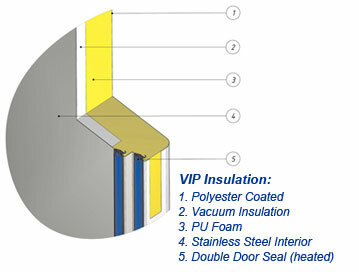 With only 80 mm of insulation this Vacuum Insulation Panel technology will give the best insulating performances. The combination of low power consumption, low noise level, and the standard use of ecological, green refrigerants makes the Telstar-Aegis Ultra Low freezer the most environmentally friendly Ultra Low Temperature freezer available in the market. 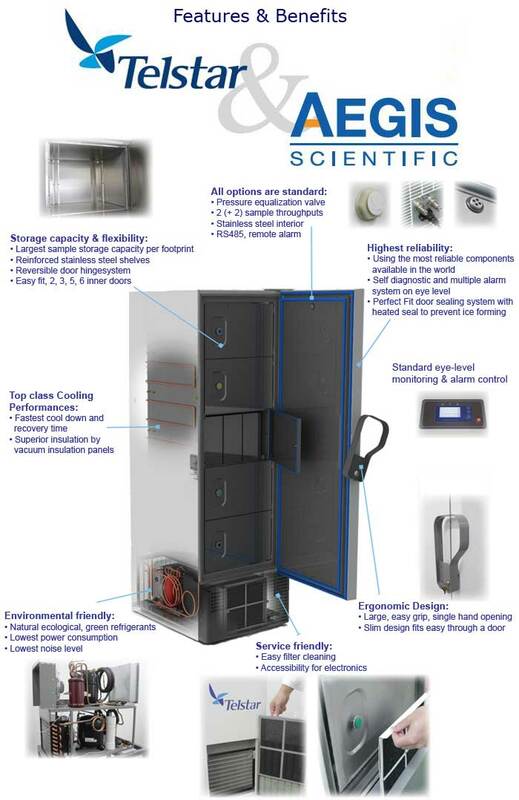 Reliability for your valuable samples is safeguarded with help of a high capacity cooling system. All of this is controlled and monitored at eye level with the most complete, self diagnostic control system available. 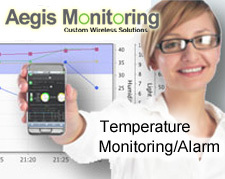 A temperature of -86°C is guaranteed for an ambient up to +35°C. Additionally the thin insulation increases the storage capacity up to 30%.